Unprecedented demand for annual Europe, Middle East & Africa (EMEA) ICT and consumer electronics channel event. High quality attendees from across region attract hundreds of vendors. Exhibition floor space has sold out at DISTREE EMEA 2013, which takes place from February 19-22nd in Monaco. Delegations from more than 120 ICT and consumer electronics (CE) brands are confirmed participants at this year's event, where they will meet face-to-face with the region's leading volume distributors and product buyers from top retailers and e-tailers. "We are delighted that so many brands recognise the value of participating in DISTREE EMEA," said Farouk Hemraj, CEO and Co-Founder at DISTREE Events. "It is testament to both the quality of the channel executives attending and also the clear return on investment (ROI) for vendors." DISTREE EMEA is far removed from a traditional trade show. Each participating vendor is able to pre-schedule a personalised agenda of one-on-one meetings with channel partners that suit their precise business needs. Each vendor has a standardised booth in the exhibition area where they can conduct their one-on-one meetings and showcase some of their latest products. "Our emphasis is on real business and real buying, not bling and balloons," explained Hemraj. "This year's event will gather 350 senior distribution executives from 290 different companies, plus 120 senior buyers from more than 100 of Europe's top ICT and CE retailers and e-tailers." 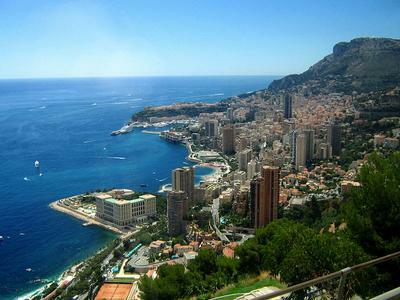 This year's DISTREE EMEA takes place at the Fairmont Hotel in Monaco. Although the exhibition floor is now at full capacity, DISTREE Events has worked closely with the venue to offer additional private meeting rooms for vendors. Hemraj explained: "The exhibition floor is the public face of DISTREE EMEA, but there is a lot more going on behind the scenes. We have already seen a significant number of A-brand vendors booking private meeting rooms to use during the event. We have also put together some bespoke participation packages for vendors with specific business needs." 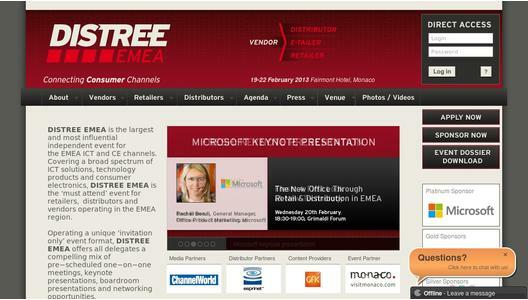 Microsoft is Platinum Sponsor of DISTREE EMEA 2013, with Energy Sistem, Intellinet-Manhattan, Modecom and Wexler as Gold Sponsors, plus Silver Sponsors ABC Data, ALSO Digital, GLOBO, HGST and Lenovo. Content Partners GfK and CONTEXT are contributing to a packed conference programme planned for the event. 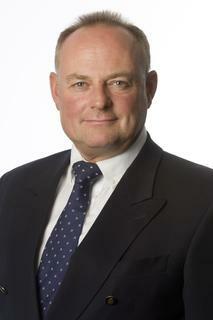 "In total, we now expect 1,000-plus delegates to participate in DISTREE EMEA 2013," continued Hemraj. "From the largest A-brand vendors to small start-ups, this has become the 'must attend' event for anyone serious about engaging with the volume ICT and CE channel in EMEA."